In search for the ultimate envelope filter we set out to mod a classic design of the past to match the needs of the modern player - deep envelope sweep plus the ability to control the filter with an external expression pedal. 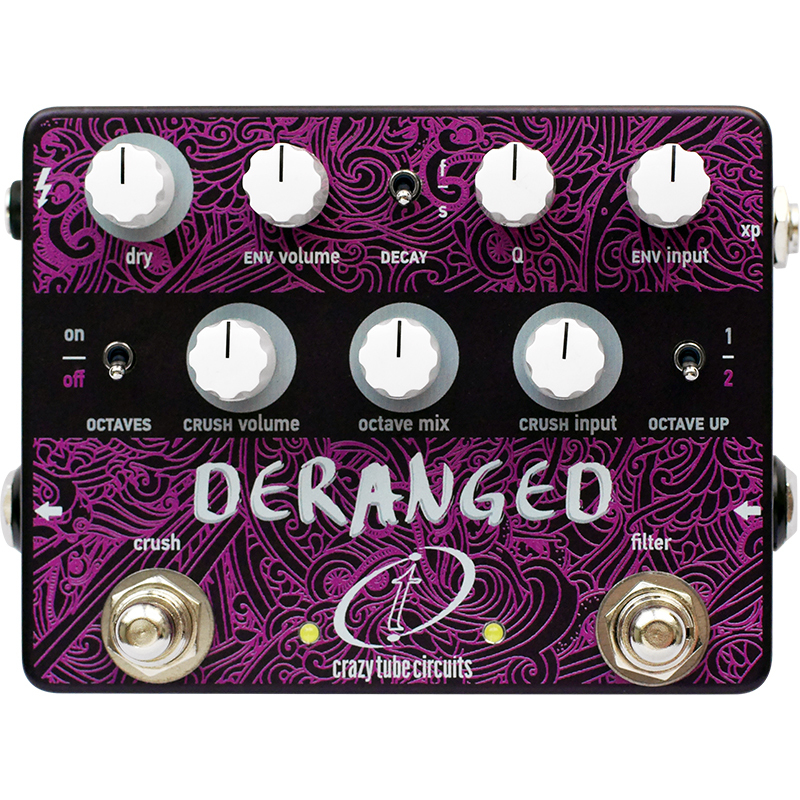 To make the pedal a little more exciting and “crazy” we added analog gated fuzz with switchable -1,+1,+2 octaves. Transform any instrument into a raging and unpredictable synth! You can use both effects simultaneously or independently via the two easily accessible footswitches. A dry out level control makes the effect perfectly suitable for guitar, bass or synthesizer / keyboards.